Thirteen Cuban detainees are set to be released from the Immigration Detention Centre (IDC) according to the Department of Immigration. In a release on Monday, the Department of Immigration (DOI) said that the detainees will be released from the facility pending the results of their legal matters. “After reviewing the detention of the migrants housed at the Immigration Detention Centre (IDC), the Department of Immigration (DOI) has determined that the detainees will be released from the facility pending the results of their legal matters,” read the release. The Department of Immigration further revealed that three migrants were released from the facility on Friday. According to the department, the detainees are currently being housed in approved accommodations provided by the DOI. The three individuals released have been at the facility the longest amount of time. 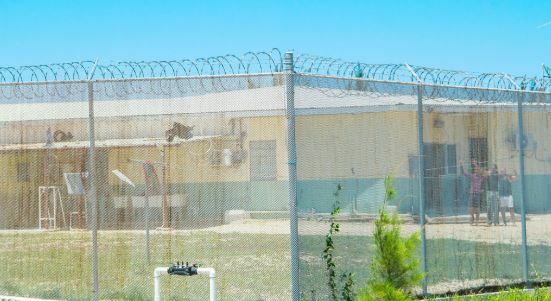 They further said that a thorough risk assessment was conducted on each of the detainees currently housed within the facility. “Although the detainees do not pose a threat to the community, in an effort to ensure public safety as a top priority, the detainees will be fitted with an electronic monitoring device in which we will use to observe their whereabouts and verify that they are complying with the rules of their release,” Acting Chief Immigration Officer, Gary Wong, said.